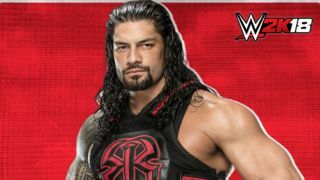 There's a new greatest wrestler of all-time to be hailed according to character ratings in WWE 2K18 - and his name is Roman Reigns. The three-time WWE Champ is one of the most divisive grapplers in company history, and news that he's been scored 95 out of 100 – as revealed in WWE 2K18 footage from Element Games – in the new 'rassle sim is unlikely to quell fan complaints that he's overrated by big boss Vince McMahon. For comparison, take a look at some of the legends ratings on offer. For gaming purposes, much like FIFA 18, each is considered in their prime - so Stone Cold Steve Austin's model stems from his 1997 heyday - yet none match Reigns. Austin scores 92. The Rock fares slightly better, with 93. Undertaker (who Reigns controversially pinned at WrestleMania) also nabs a 93. All good, but none mightier than the superman-punching American Samoan. Among his contemporaries, John Cena and Brock Lesnar tie for second best with a 93 overall rating each. Finn Balor and Seth Rollins get 92, AJ Styles 90, reigning WWE Champion Jinder Mahal 88, and Braun Strowman 87. It's worth noting that this is likely a call made by WWE, who get final approval on roster likenesses and ratings, rather than developer 2K. Even so, the clear message to fans is: we know best. And Reigns is best. WWE 2K18 is out on 13 October, and you can see profiles of all its 187 wrestlers in our WWE 2K18 roster gallery.